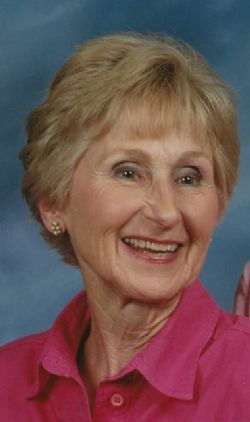 Dorothy Nell Harlan, 86, of Crawfordsville, IA., formerly of Little Rock, AR., passed away on Thursday, April 11, 2019 at home with her family by her side. Born November 12, 1932 in Monticello, AR., Dorothy was the daughter of June H. and Mabel Corrine (Uptegrove) Yelvington. She was a 1950 graduate of North Little Rock High School. Following graduation, Dorothy married Herman �Bud� Harlan. They later divorced. For many years she worked as an office secretary and human resource coordinator for CPC International Best Foods. Dorothy was a member of Life Line Baptist Church in Little Rock, First Baptist Church in Mexico, MO., and Trinity Baptist Church in Texarkana where she gave of her time to the children�s ministries. Dorothy spent many hours volunteering at Watersprings Ranch in Texarkana. A lifetime member of the Order of Eastern Star, she enjoyed horseback riding, swimming and cooking. Those sharing their life with Dorothy include a daughter, Lacey (Todd Ralls) Harlan Ralls of Crawfordsville, IA; a granddaughter, Lauren Ralls of Iowa City, IA; and a sister, Jewell Yelvington of De Kalb, TX. She is also survived by many nieces, nephews and friends. Along with her parents, Dorothy was preceded in death by two brothers, Raymond Yelvington and Kenneth Yelvington and her step-father, Cleve Tankersley. Funeral services will be held at 10:00 AM, on Saturday, April 20, 2019 at Roller-Drummond Funeral Home in Little Rock, AR. Burial will follow at Forest Hills Memorial Park. Gifts of love and friendship may be given to Every Step Hospice of Iowa or Watersprings Ranch, a Christian based residential home for abused, neglected and abandoned children. On-line condolences may be directed to www.rollerfuneralhomes.com/drummond Olson-Powell Memorial Chapel of Mt. Pleasant has assisted the family locally. Click Play below to view the Video Memorial for Dorothy Nell Harlan.